The hero dog, Buddy, needed his own life saved after he saved the life of a boy who lost his brother and was nearly killed himself by their mother. 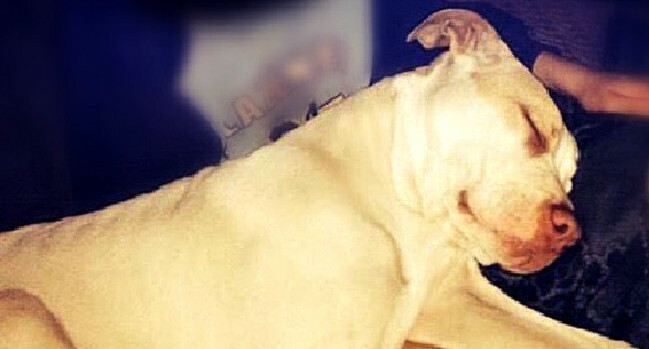 A mentally ill woman who had drowned one of her sons and was in the process of drowning the other was stopped by Buddy, another family’s pit bull, who dragged the boy away from a river in Australia. On March 2nd, Buddy was at the Murray River in Moama, a town bordering the states of New South Wales and Victoria, when he saw a distressing situation unfolding in front of him. A nine-year-old boy was trying to escape the clutches of a woman who was attempting to harm him, so Buddy came to the rescue. He grabbed at the boy and tried to pull him away, inadvertently biting him. He also bit the woman as she came after her son. The boy survived, but had to be treated for his bite injuries at a children’s hospital in Melbourne. As a result, Buddy was seized by rangers. 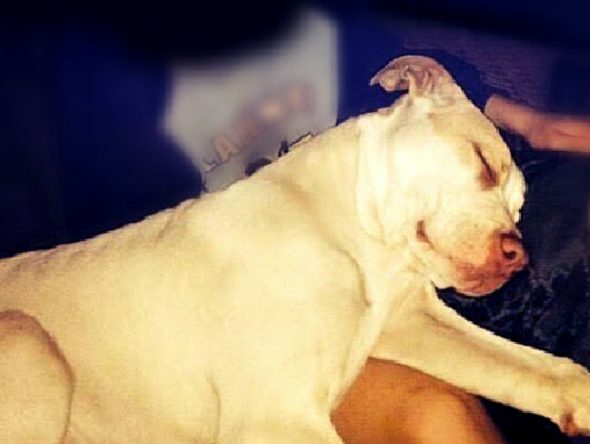 A petition was launched to save Buddy’s life, as he certainly would have been put to sleep for attacking a child. The boys’ maternal grandfather even supported the initiative. Buddy’s owners said he doesn’t have a history of aggression, and had never bitten anyone before. Police advised the Murray River Council that he was responding to “extreme circumstances,” and had likely been acting in a “reasonable defense” of the child. The petition garnered over 50,000 signatures, and all the efforts made on Buddy’s behalf were successful. This came as a huge relief to everyone following Buddy’s story, but most especially his distraught family. They just had to make sure they registered and microchipped him. The unnamed 27-year-old woman’s 5-year-old son was found dead after she was arrested for trying to kill her 9-year-old. She has been charged with murder and attempted murder. The grandparents, who had the boys in their custody for the 18 months their mother had previously been in prison, are accusing officials of failing to act on the children’s behalf. “I have one grandson left, because this brave dog took action as required,” the grandfather said. RIP to the deceased kid!!! Condolences to his family that’s there for him and friends!!! I wish the brother a speedy recovery!!! Bless that dog!!! He of murked her that wicked devil!!! Why didn’t the friend notify the police after she had told her she was going to do such wickedness??? Smdh it’s a sick twisted world that we live in!!!??? ?